Téléchargez des vidéos gratuites de plus de 100 sites et convertissez vos vidéos en formats populaires! L'offre gratuite du jour pour Allavsoft 3.15 était valable le 23 février 2018! Télécharge la vidéo en 4K 4096p, HD 1080p, HD 720p, 480p, 360p, 240p. Convertit la vidéo en format vidéo ou audio populaire. Le lecteur intégré lit les films téléchargés, la musique au format populaire. Supporte le complément de téléchargement de vidéos pour Firefox, Chrome, Safari. Prend en charge le résumé du point de rupture, garde l'historique du téléchargement, une action après le téléchargement. NB: La licence fournie est à vie, sans prise en charge des mises à jour. 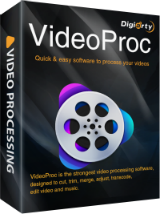 Téléchargement par lot de fichiers vidéo à tous les formats vidéo sur ordinateur Mac OS X ou Mac OS. A l'usage (2018/03/25)... excellent software, y compris l'enregistrement à l'écran des vidéos et mises à jour, au moins avec la licence en promotion que j'ai achetée. Hello A l'usage (2018/03/25)... excellent software, y compris l'enregistrement à l'écran des vidéos et mises à jour, au moins avec la licence en promotion que j'ai achetée. Bye. Toujours aussi excellent ce 2018/05/17. gya, Toujours aussi excellent ce 2018/05/17. It downloads videos very quickly and the output is good. Only niggle I have with it so far is that there's a lack of choice when it comes to download quality and what choice exists is rather meaningless. You can opt for "Best Available", "Normal" or "Worst Available" (awful choice of wording there). Trouble is, those labels tell you nothing and on Youtube, "Best Available" might mean you might get a massive 8Gb file in Ultra4K definition whilst "Normal" appears to mean "the middle value from the ones available" - which could be anything. What's needed is for users to either define their own preferences - so, for example, I might have 1080, 720 and 480 as my three choices - or simply tell the user what resolutions are actually available and let them choose directly. I just wanted to download a video at 720p from Youtube - the video is on there at that resolution - but this program won't let me choose that resolution - I can only have 4K, 480 or 120. That's too much of a restriction to make this a "must have" application. I am not sure if program is proper/good. 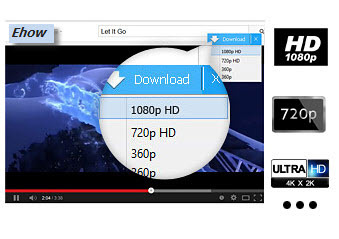 This program seems to be a 100% clone of Bigasoft Video Downloader Pro. The only difference is the name, it has identical menus, locations and capability. Even the same version as the other. So in my view either this one is legit or Bigasoft one is legit. I can't see a company making a total clone of other software. I am not sure if program is proper/good. This program seems to be a 100% clone of Bigasoft Video Downloader Pro. The only difference is the name, it has identical menus, locations and capability. Even the same version as the other. So in my view either this one is legit or Bigasoft one is legit. I can't see a company making a total clone of other software. Very disappointing as this is just another run of the mill video downloader. When set to download at its highest quality and convert at its highest quality, it is the same quality of the original. It cannot increase the quality or modify the frame size. It's only "quality" option is to lower your download and convert quality. Of absolutely no use to me. Hammer, the software can't do magic. You can't add information that isn't there to begin with. How would that be possible? If you are just looking for something that downloads from 1076+ sites (or however many) rather than the more sophisticated Internet Download Manager, which is actually detecting the streams, I recommend the free Moo0 video downloader. They do nice, no-frills tools which are easy to use. (No browser integration but who needs it?). For a free, decent, but less excellent, alternative to IDM, check out Xtreme Download Manager. It makes out it finds the 'free' videos for you but it doesn't. All it is is a download manager and converter but there's plenty of free ones already out there.